When I got my Nikon a few years ago, I bought it body-only. This was because I already had a decent midrange-zoom that would work with it. The lens is a bit of an heirloom, it used to belong to my father. He gave it to me (connected to his old Nikon F4, which he used a lot) and I figured it would be a good first-lens. This is a late-1980s lens. As with most of Nikons autofocus-lenses from that era, this requires you to have a body with integrated focus-motor. Also, as with the 70-210, this is a push-pull contraption. I don’t mind it, and this lens is quite small anyways so it doesn’t grow too much. Optically it’s excellent. This is a f2.8 and it was _the_ pro-midrange-zoom that Nikon made in the late 80s and it shows when you use it. Almost no vignetting, very little distortion and wildly sharp at any aperture. The 35-70 range is a little weird, but I rarely feel the need for anything wider than 35mm. It’s solidly built and will take a beating. I’m unsure of eventual weathersealing, but I know this one has seen a lot of action. I’ve literally taken almost 11.000 shots with it, and it was probably used for equal or more of that in my dads care. Mine has a few minor nicks and dents, but it’s still in great shape for a lens that’s over 25 years old and still gets used regularly. 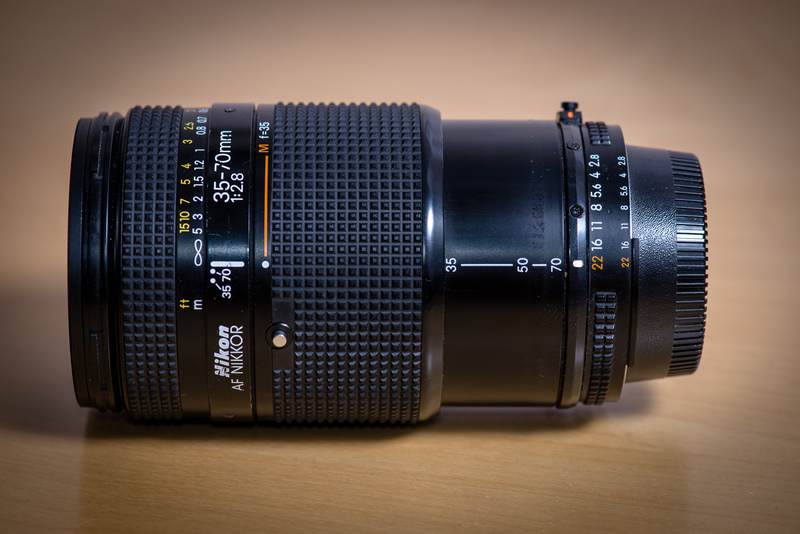 UPDATE: While visually this lens is very similar to the 70-210 I also reviewed, this is way, way more tough. I just want to emphasize that. The 70-210 is decently built for a consumer lens from the late 1980s, but the 35-70/2.8 is a pro-lens and built to a much higher standard. This lens also has a nice little trick where you can push down a little knob and enter into a kind of macro-mode. It only works in the 35mm-setting and also disables autofocus, but it’s surprisingly handy when you need to get a little closer to something. Provided you can find one, expect to pay a little more than regular for it. 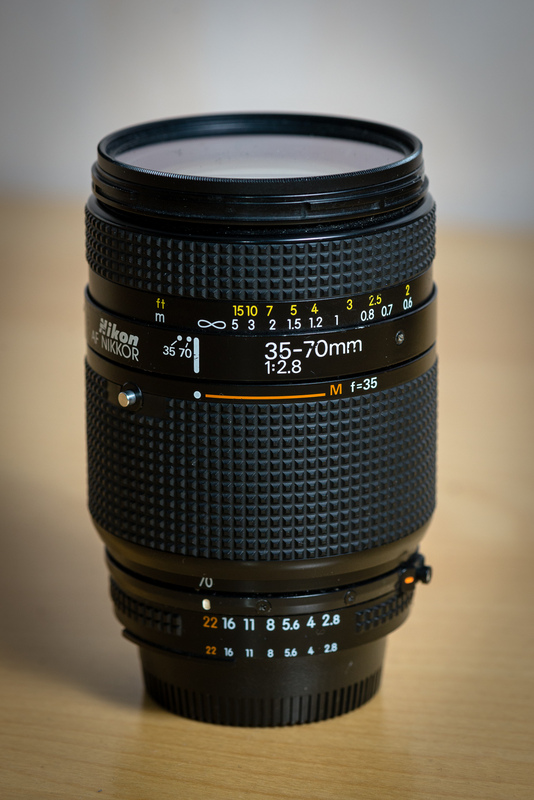 This is a fairly coveted lens and I’ve seen prices for used specimens in good shape go all the way up to US$300-400. I didn’t pay anything for mine since it was a gift.